Celebrating another year? 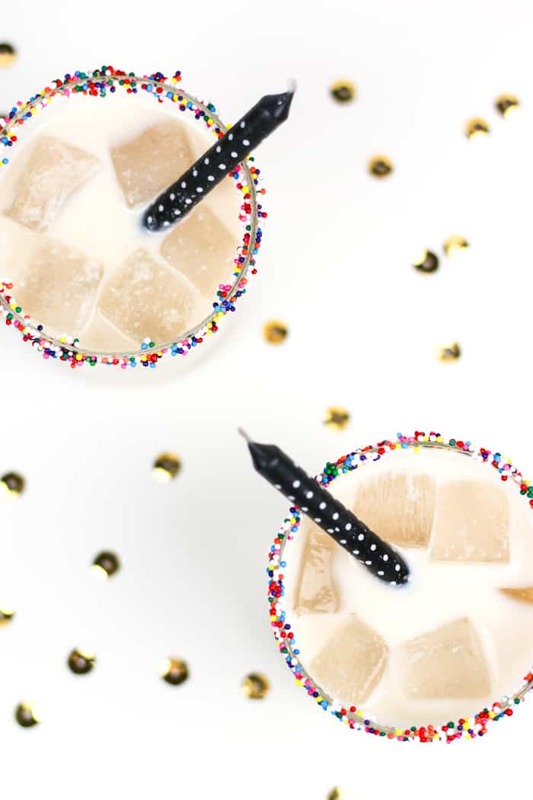 Blow out your candles, make a wish and take a sip of a Birthday Cake White Russian! 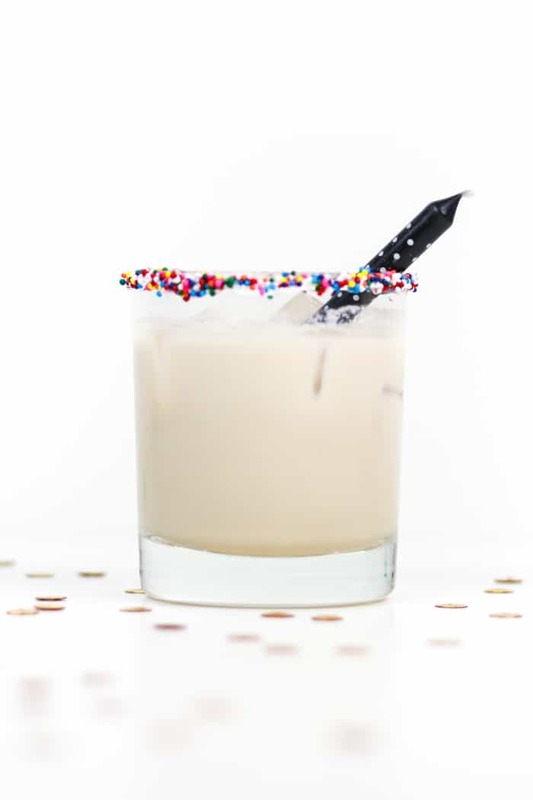 With extra sprinkles on the rim and a birthday candle cocktail stirrer, of course. Another year in the books! I’m so excited that Feast + West is FOUR whole years old this month. Without a fraction of a doubt, this website has changed my life. 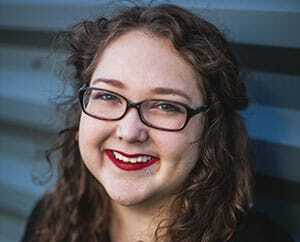 Because of this site, I’ve made countless new friends, tried lots of new recipes, taken several trips, got a new job and actually made money — all because of one little new year’s resolution. Not to mention all the food and travel! I’ve shared 628 posts over the last four years (not including this one), which is pretty insane. I’m so proud and happy. Every year, I try to share a birthday-ish recipe to celebrate. Even though it’s January and everyone is all about the smoothies and salads, I think it’s still fun to enjoy some cake and a cocktail. Last year I made Confetti Cake Push Pops and Chocolate Birthday Cake Popcorn — the latter of which Chris begs me to make all the time. 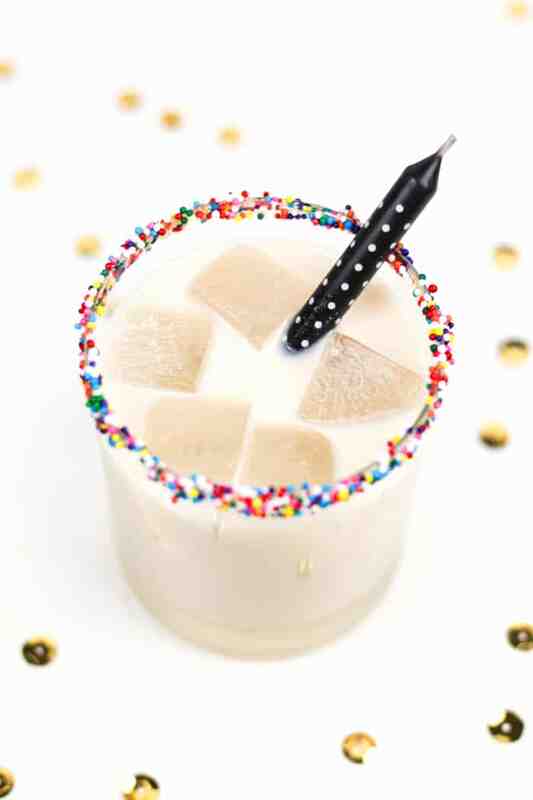 This year I’m bringing you the Birthday Cake White Russian. 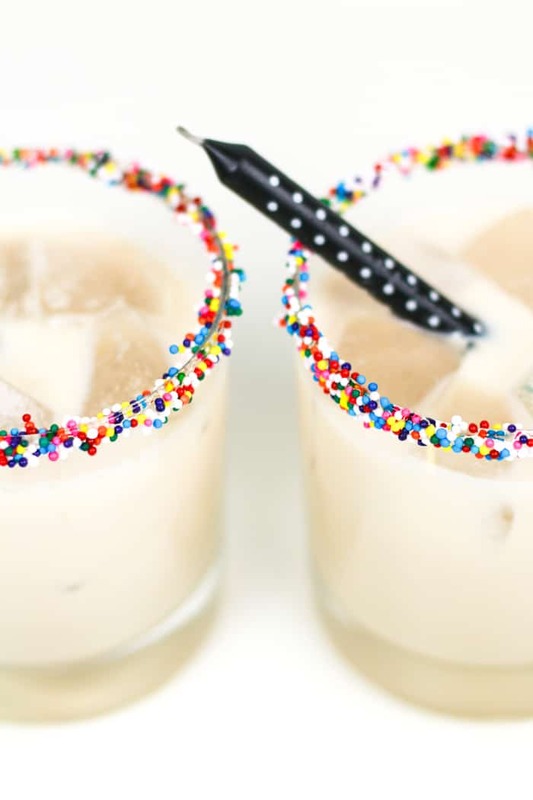 It’s definitely pushing the classic definition of a White Russian, which is vodka, coffee liqueur and cream, but it tastes like cake batter. 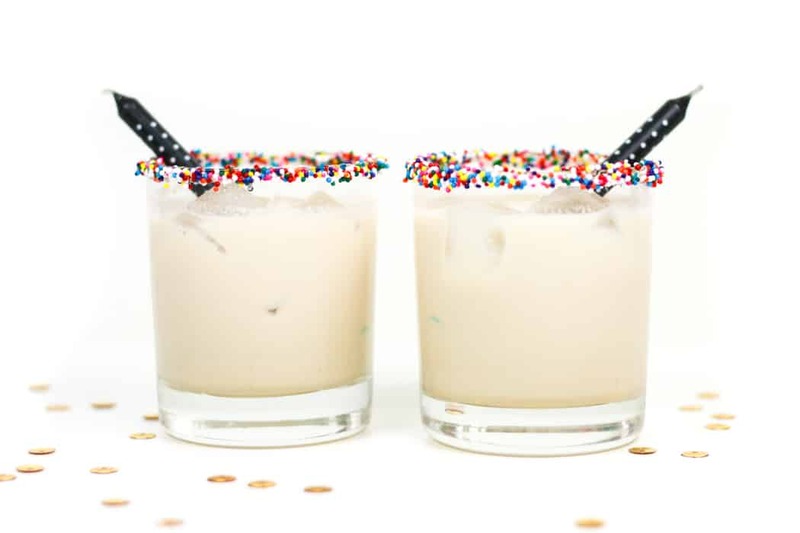 For this recipe, I switched out some of the coffee liqueur for hazelnut liqueur and white chocolate liqueur, and even stirred in a bit of yellow cake mix. I added some vanilla extract too, but you could totally use vanilla vodka instead. Oh, and the sprinkled rim! How could I forget? I’m such a sprinkle fiend, so this was my favorite part. I put some honey on a plate and coated the outer rim of the glass in the honey. I held the glass upside down, letting any extra honey drip off, then I rolled the edge of the glass it in a bowl of hundreds and thousands. 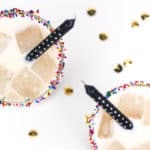 The birthday candle stirrer is just a fat birthday candle stuck inside a smoothie straw — a super easy DIY for any birthday gal or guy! I’m so stoked to have hit this milestone, and I look forward to the next four, fourteen and forty years with you! Love birthday cake flavored foods (that aren’t birthday cake)? 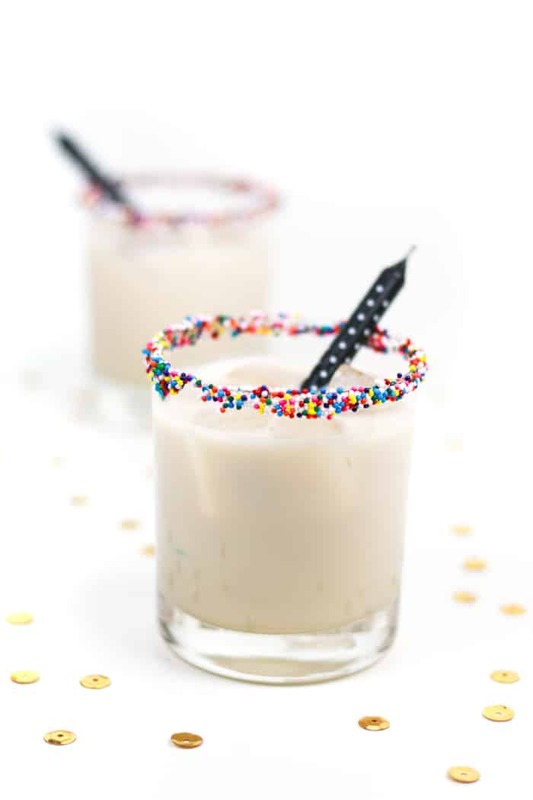 Blow out your candles, make a wish and take a sip of a Birthday Cake White Russian with extra sprinkles on the rim and a birthday candle cocktail stirrer! Add honey to a flat plate. Add sprinkles to another plate or bowl. Roll the outer edge of a rocks glass in the honey. Hold upside down to let excess honey drip off. Roll in the sprinkles. Let sit 1-2 minutes before adding ice or liquid. 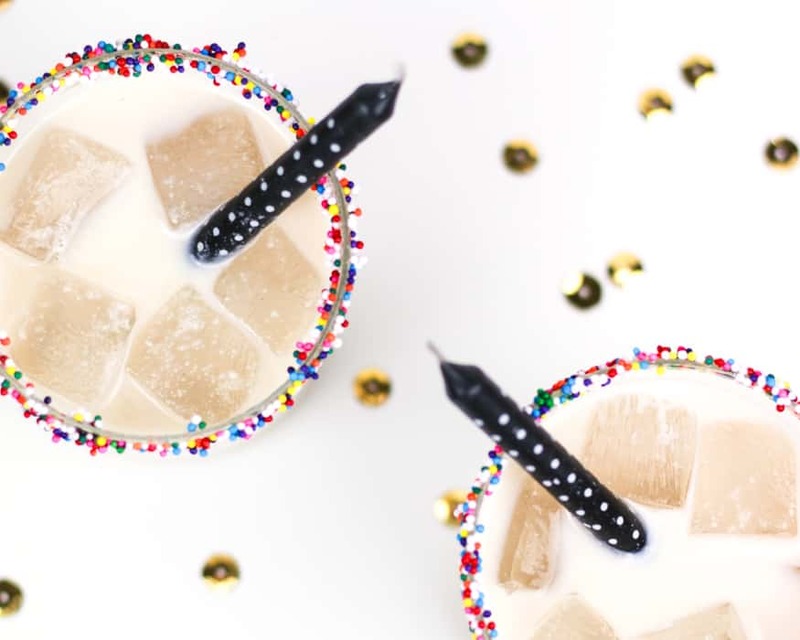 In a cocktail shaker, combine coffee, white chocolate and hazelnut liqueurs, vodka, vanilla extract. Stir in yellow cake mix until dissolved. Add ice to the cocktail shaker, then shake vigorously. Pour into the prepared rocks glass filled with ice. Top with cream or any milk of your choice. Skip the vanilla extract if you use vanilla- or cake-flavored vodka. These look amazing! 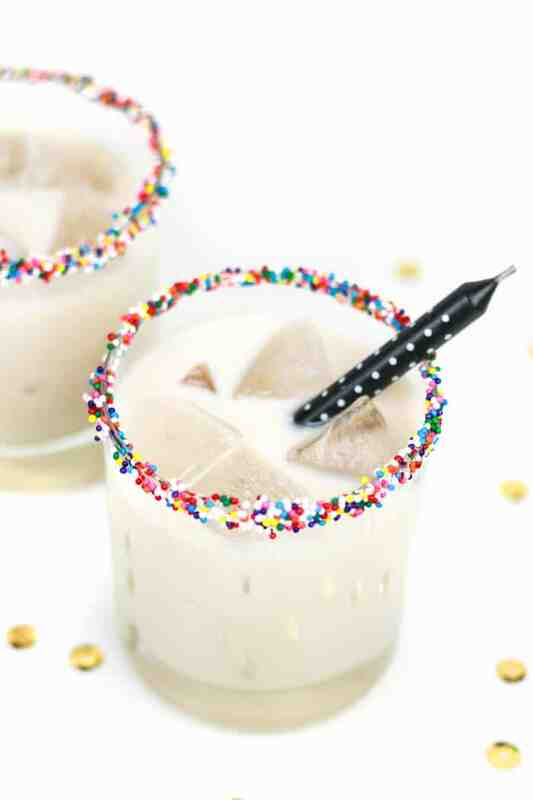 White Russians are my favorite and I can’t wait to try it out this weekend.